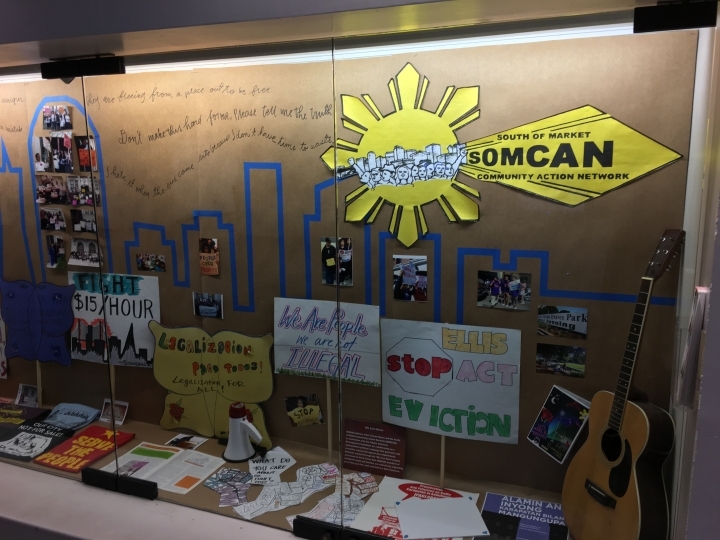 This 2017 iteration of the long-term collaboration South of Market Community Action Network (SOMCAN), focuses on a multi-platform political campaign that generates and circulates artwork throughout the neighborhood of downtown San Francisco, South of Market District. 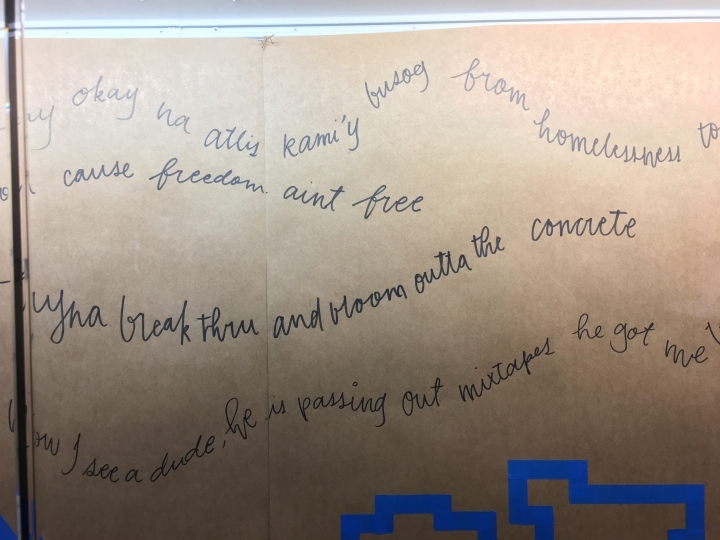 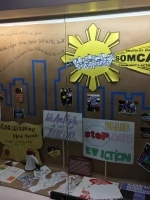 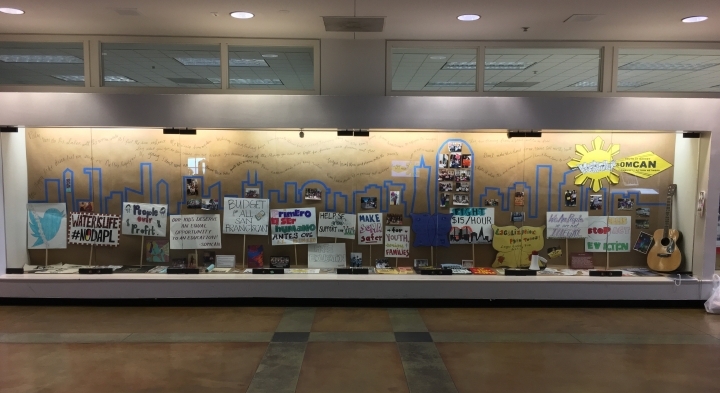 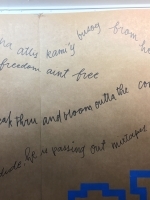 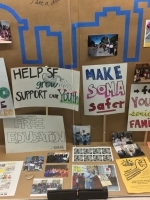 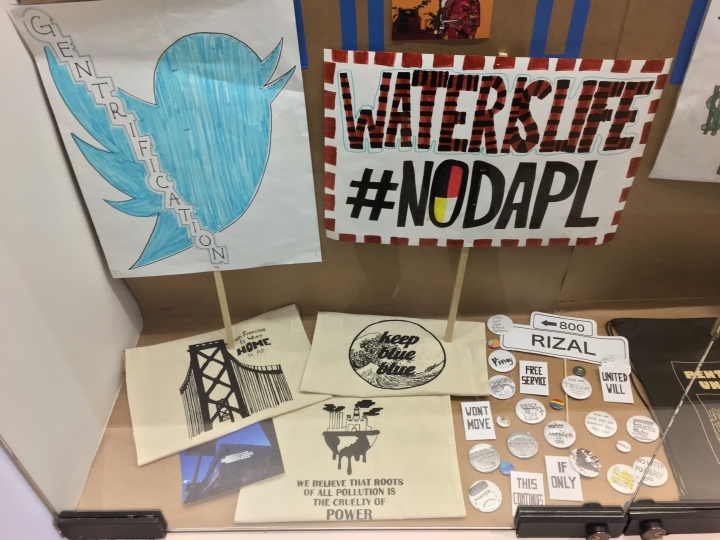 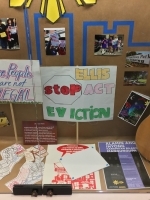 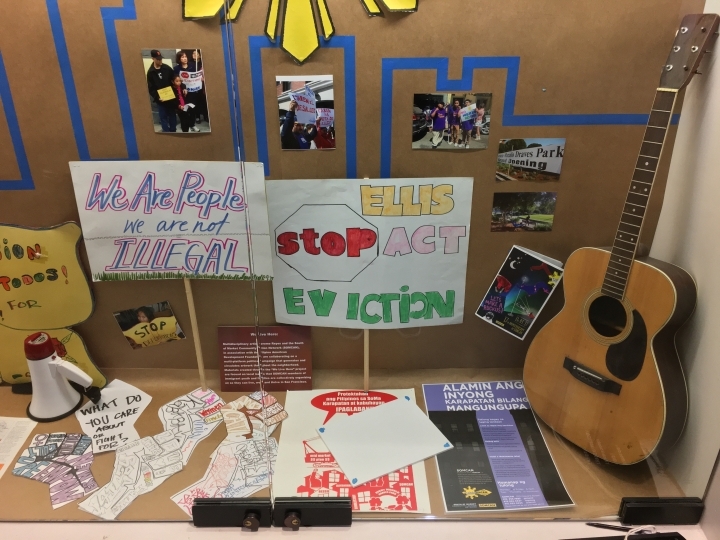 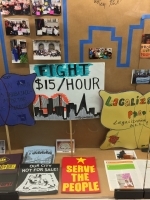 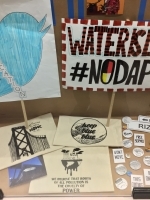 Materials created through the “We Live Here” project are from art workshops and campaigns focused on local issues that SOMCAN members of immigrant youth and families are collectively organizing on so they can live, work and thrive in San Francisco. 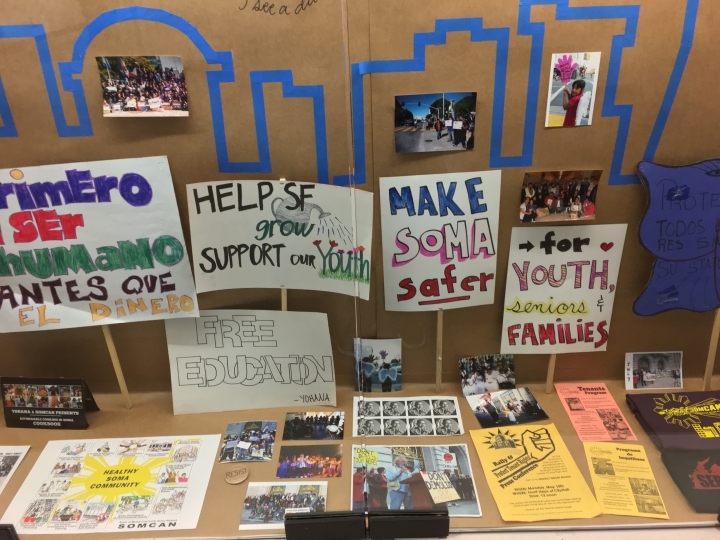 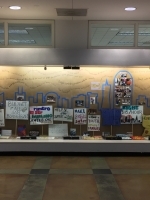 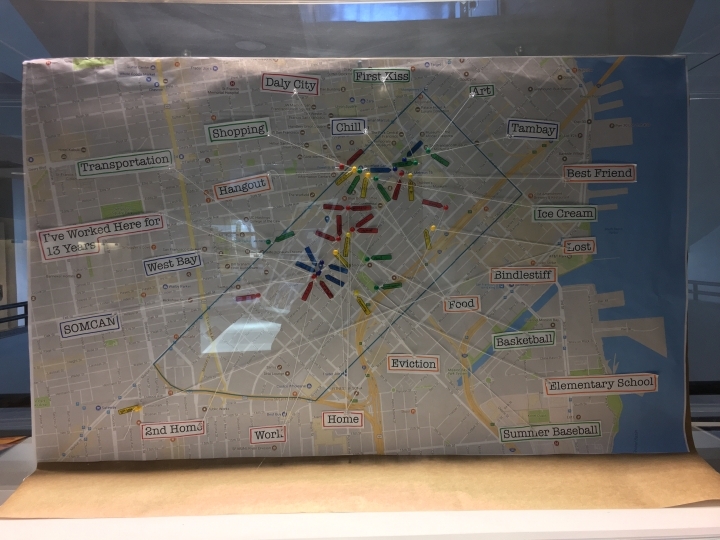 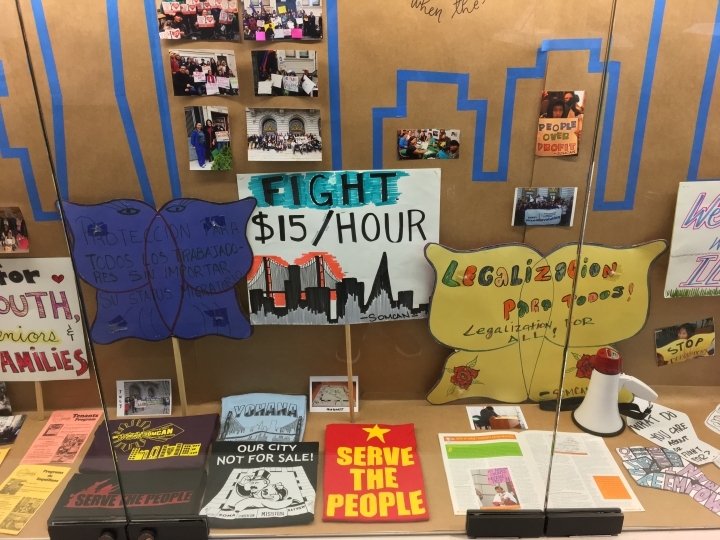 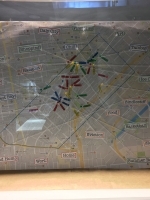 The display is centered at the library of City College San Francisco in tandem with programming and courses offered in the city’s largest community college.